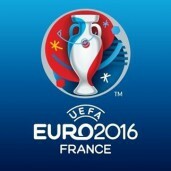 With Euro 2016 around the corner, this week brings the next round of qualifiers. We take a look at some of the more interesting fixtures below. It’s been awhile since Wales qualified for the finals of a major international tournament. In fact they’ve only done it once, and that was many decades ago. Currently Chris Coleman’s side are sitting pretty at the top of Group B, and they need just two wins from their next four games to see them through. First up is Cyprus, a side Wales beat 2-1 last time around, in a particularly physical battle in which the sizable threat of Gareth Bale was the focus of Cypriot aggression and one which saw Andy King sent off. Both King and Bale are in-form, with the Leicester midfielder expected to replace the injured Joe Allen in the starting lineup, and the Galactico having played the full 90 and bagged two goals in a 5-0 demolition of Real Betis at the weekend. With Robson-Kanu having missed the first Wales training session after picking up a knock in Reading’s victory over Brentford, and defender James Chester suffering from a hamstring injury, the odds for a Cyprus win could well fall from 5.5 to under 5.3. Should Robson-Kanu not be risked, it’s likely Sam Vokes will get the nod. Vokes potency upfront is undeniable but he’s yet to look fully himself after returning to regular club action following an injury hit 2014/15. Odds for a Wales win should increase slightly from 1.82 to over 1.9. 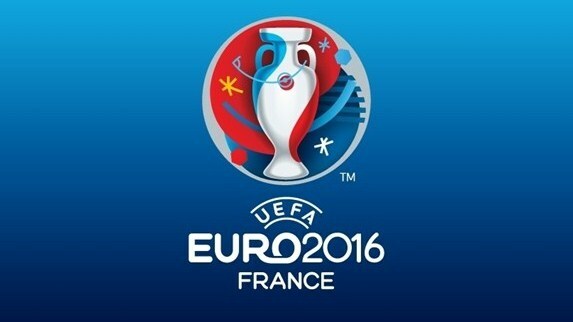 Spiffx Prediction: Wales will be going for the win this to ensure their group topping status doesn’t slip. This could see the result go one of two ways; but Wales Overs with the Spiffindex at 1.84 seems sensible. Belgium let down a good many people at last year’s World Cup; they simply did not live up to expectations and it hasn’t gone unnoticed that they’re currently three points behind Wales in Group B. Despite this, they are the group’s top scorers with 13, and these goals have been shared quite generously around the team; Fellaini is the top scorer with three. Kompany will return to the side for this one, he missed the Wales clash through suspension, and this will strengthen the Belgian backline. It’s one which’ll need strengthening too as Edin Dzeko is in a good vein of form, especially under Bosnia manager Mehmed Bazdarevic. Bazdarevic only took over in December, and Bosnia have a 100% competitive record since then, and moreover they’ve scored six (and conceded one). They cannot lose this one if they are to stand any chance of qualification. Expect their odds to fall below 7.8 for a victory. Belgium will have to do without Moussa Dembele, who’s had to withdraw from the squad through injury, and it’s been speculated that Christian Benteke had to pull out of a Belgian training session too. The draw also looks particularly high at 4.7, this should fall to below 4.5. Remember Bosnia have Asmir Begovic in goal, and Roma’s Miralem Pjanic in midfield too. Spiffx Prediction: Bosnia are looking bold under Bazdarevic, and must not lose this one. Draw Under with the Spiffindex at 4.5 is the way to go. Just like Chris Coleman’s Wales, Gordon Strachan’s Scotland are in a strong position to make history by qualifying for Euro 2016. Scotland are not in quite so privileged a position as their Welsh counterparts, but having lost just once in six qualifiers so far, and sitting two points behind World Cup holders Germany, isn’t bad going. The Scots face the Germans, and then group leaders Poland, after Georgia meaning Friday’s match is all the more vital if they are to stay in the running. Confidence is incredibly high in the Scotland camp right now, and their odds to win are likely to fall below 2.00. The form of players like Maloney has been enough to keep Charlie Adam out of the current squad. This game is incredibly important, and Strachan will not be letting them forget that. Georgia is a tough place to go and play, but Scotland will not be losing this one. Expect Georgia’s odds to win to go out from 4.7. Spiffx Prediction: Scotland need a win here as momentum going into their following two games against the Poles and the Germans; so expect odds for Strachan’s side to emerge victorious to fall.